Coleman Vision is a full scope optometric practice with unique training and over 67 years of providing trusted vision and eye health care to the people and families of the 4 states. Get directions to our Eye Doctor’s Office in Joplin, MO! 3 Generations and Over 67 Years Of Eye Care In the Joplin area! The optometrists and staff are dedicated to fulfilling our Mission of “Improving Lives Through Vision” by placing our patient’s quality of compassionate vision and ocular health above all other considerations. 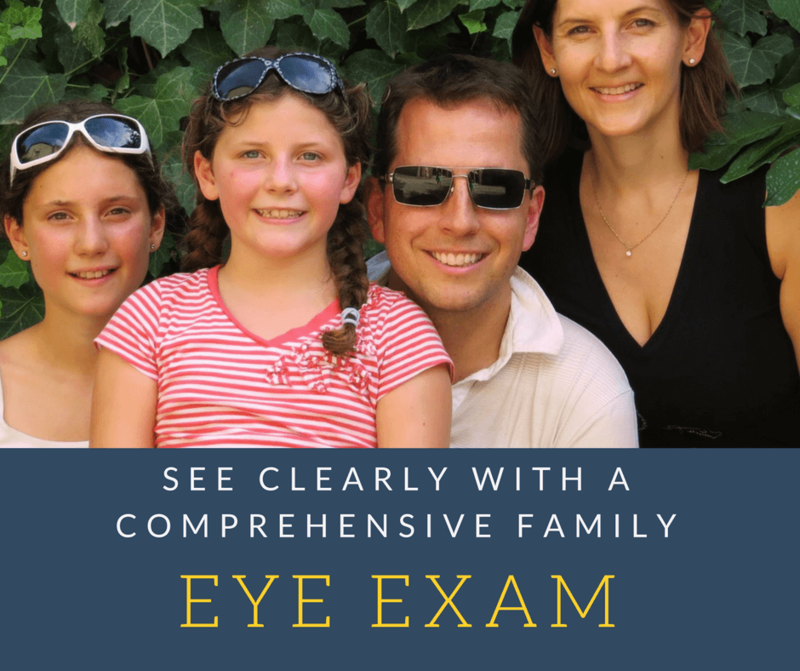 We promise to go beyond the “traditional eye exam” and care for your entire physical, functional, and perceptual visual system within a friendly, comfortable, and professional atmosphere. In addition, the products prescribed by our doctors match this commitment and are priced competitively to go along with our services making us the best value on the market. Please give us a call. We would love to see you. As optometrists, of course we’re concerned with your vision. However, at Coleman Vision, we are focused on educating our clients about the deep connection between the brain and vision. 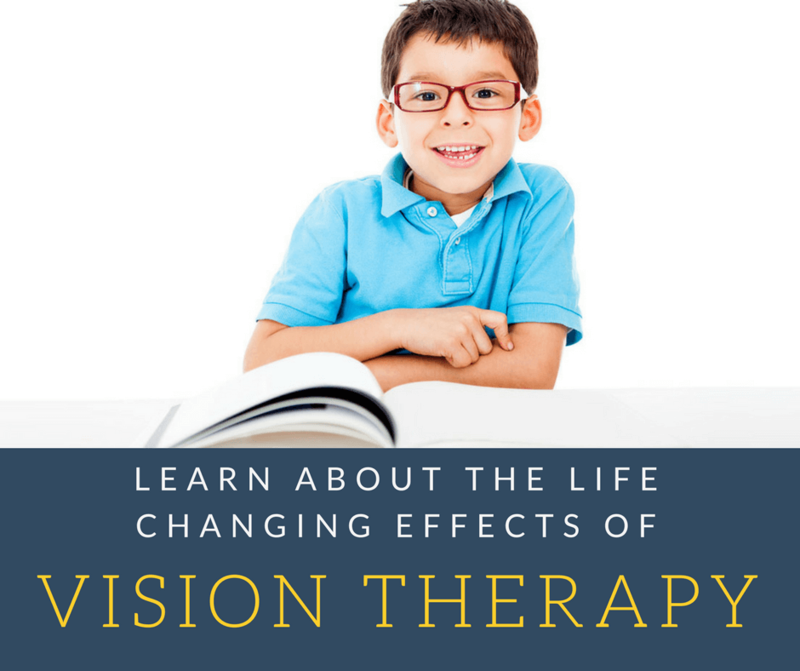 Learning disabilities, dyslexia, behavioral issues and many other conditions may be caused or worsened by an undiagnosed vision problem that could be drastically improved with a program of vision therapy. A developmental eye exam not only checks for the need for glasses, it assesses the 17 visual skills we use daily and the 11 skills while reading. A functional and professional eye exam is the beginning of seeing. We handle your eye exams, prescriptions and fittings with care. Here, you can count on your eye doctor to go beyond 20/20 vision and take care of your eye health. We are proactive about eye health screenings and strive to make sure cataracts, cancer, or glaucoma aren’t in your future left undiagnosed. It’s time for a comprehensive eye exam. 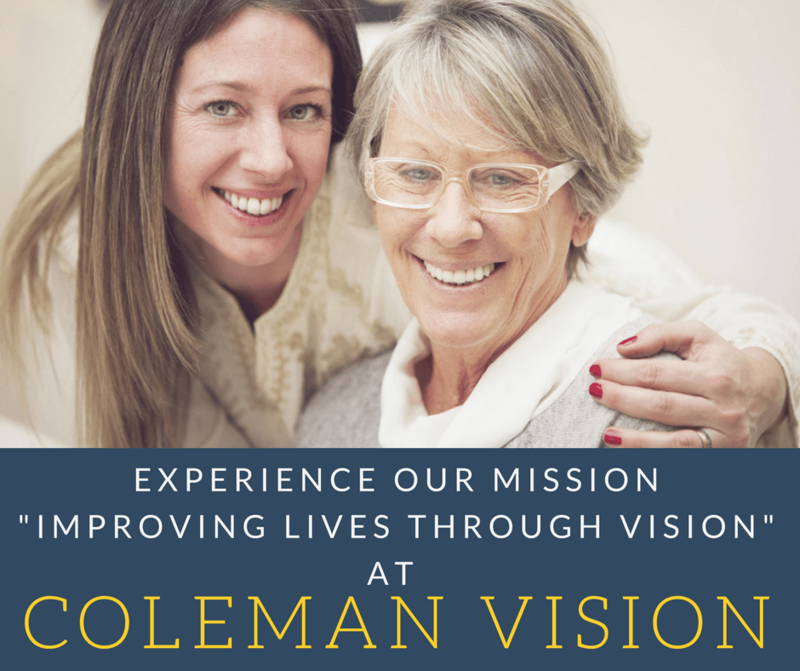 As we live out our Mission of “Improving Lives Through Vision” we know you’ll receive the professional care and attention you need at Coleman Vision. Whether we are helping one of your children or providing you with eye care, the quality of healthcare you deserve is just a phone call away. Come find out why so many patients trust Coleman Vision. Schedule your eye doctor's appointment at your convenience. Is your child struggling at school? Are you dealing with constant focus or a short attention span? Experiencing disruptive behavioral issues? Tired of endless homework wars? 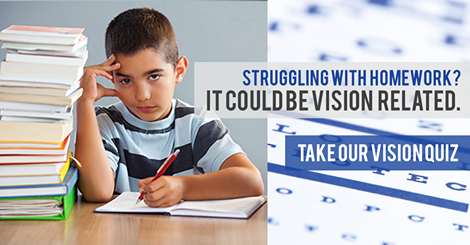 Your child’s issues may stem from an undiagnosed vision problem. Take the quiz and let’s discover what is truly going on between the eyes and the brain. We take the time to review each case individually as no two patients are alike. 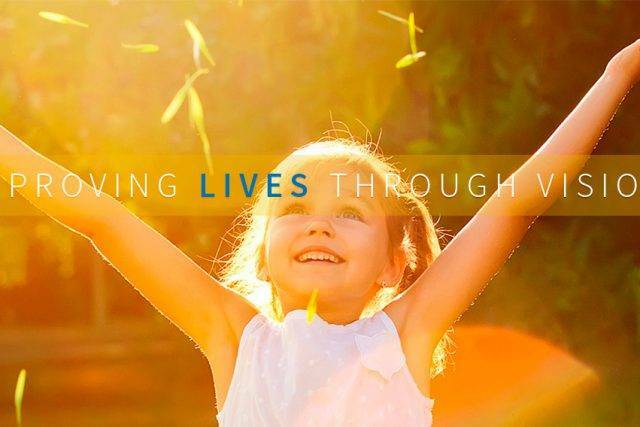 The beauty of our approach is that we can tailor our services and therapies for more directed positive outcomes. Our one-on-one therapy sessions ensure progress is being made and lives are being changed. We know the modern family manages a busy schedule. We can take care of exams for whole families on the same day, we can assist grandparents in creating a schedule that works for them, and we offer some evening hours as needed. We’ve created flexible times for appointments and are happy to help you make the commitment to your health!